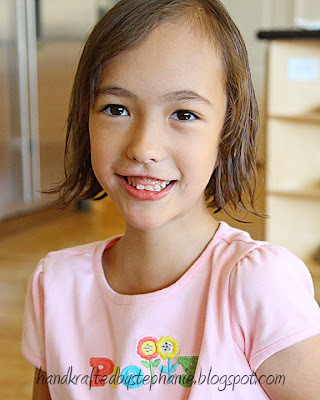 HandKrafted by Stephanie: Happy 6th Birthday, Sabrina! If you came here looking for something crafty, please see the post below... ! Cute picture. Hope that Sabrina had a great birthday, and that you're enjoying your company! I'm sure your mom must have loved that photo album!